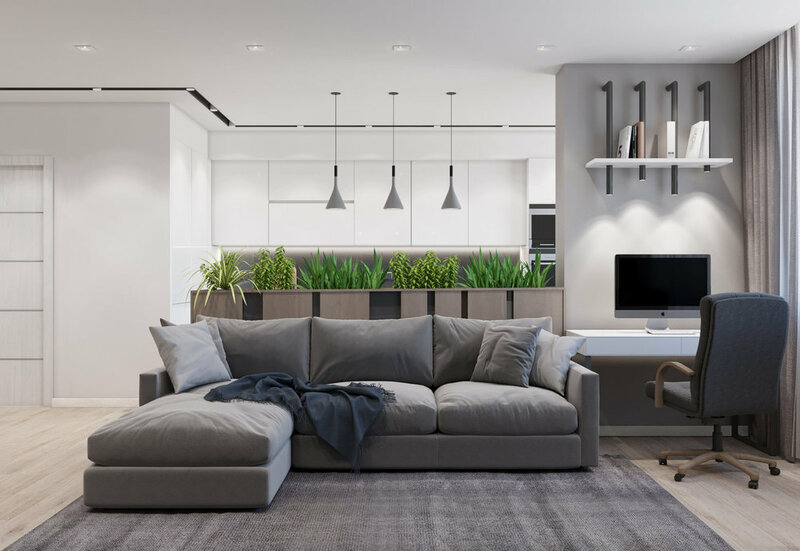 Design project of an apartment interior in a modern style. The project implemented redevelopment with the unification of the kitchen and living area. The apartment has 2 bathrooms, a large common area of the kitchen and living room, where there is also a workplace, a parent bedroom with an attached loggia, and a children's room. The total area of the apartment is 80 sq.m.